Became the youngest World Championship final referee in 2004. 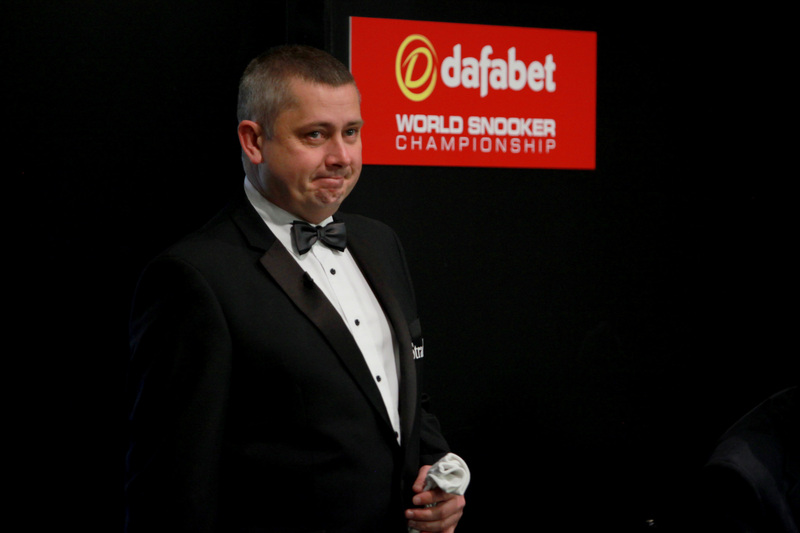 Paul also took charge of the 2016 Crucible final. Most memorable match: It’s got to be the 2004 World Championship final between Ronnie O’Sullivan and Graeme Dott. It’s the pinnacle of a referee’s career. I was 33 at the time and I’m still the youngest referee to take charge of the final. Most embarrassing moment: I was refereeing a match at the World Championship between James Wattana and Jimmy White. I gave a free ball and for some reason I forgot to take the brown out of the pocket. Luckily I realised before the next shot was played, and put it right. If you weren’t a referee what would you do: If I wasn’t refereeing now I would like to return my old job which I had from 1992 to 2001 of providing ‘On Screen’ TV graphics for Scoring and Stats at Worldwide Major Sporting Events. Toughest rule to implement: The push shot. We often have to rely on the honesty of the players as they are the only ones who know for sure whether they have fouled. They are very good in terms of calling fouls on themselves. Rugby union: I support Newport Gwent Dragons. And socialising with friends.